Now that warm weather is in full swing, my mind thinks of fresh and crisp vegetables. There’s something special about that snap of a beautiful, green snow pea. This easy way of cooking snow peas is inspired by my beloved Westville. I’m not sure if they use sesame oil in their version, but I like the extra flavor it gives. 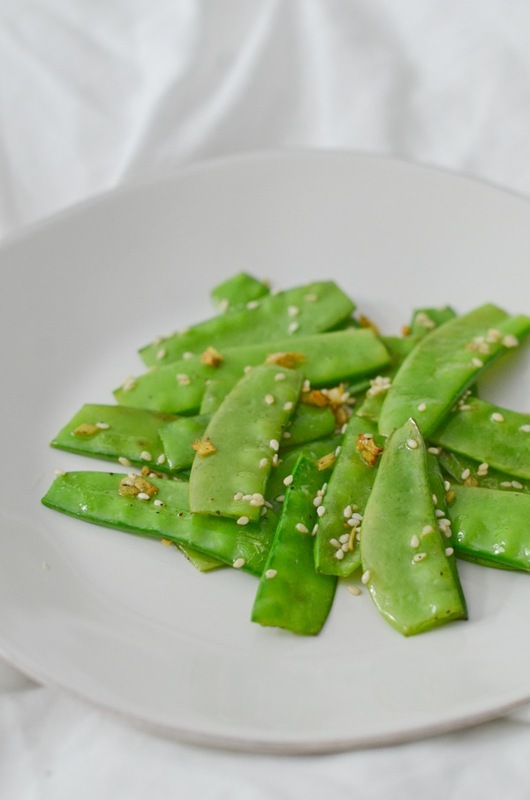 Here’s my simple Sesame Ginger Snow Peas Recipe. While I love fresh veggies, the call for take-out can be very strong. Especially after a long work day. And even more so after you work and then attend Danielle LaPorte’s new book launch party in NYC. It would have been so much easier to cave and order in, but I really wanted to make these snow peas. And considering they only take a couple quick minutes to whip up, you can enjoy them almost any time. The zesty flavor of ginger pairs well with the freshness of this fun vegetable. While some vegetables take a long time to clean and prepare, these practically just need a quick rinse. Though I do typically cut off the tips when I cook mine. Just personal preference. Be sure to wait till the very end to add the sesame oil. I’ve found when I add it too soon, the oil flavor seems to get cooked right out. I love the deep taste sesame oil adds to this Sesame Ginger Snow Peas Recipe. By the way, according to My Plate, 1 cup of cooked or raw vegetables is one serving. So, I’ve written this recipe for one serving, but feel free to adjust as you’d like based on your preferred portion size or how many servings you need. 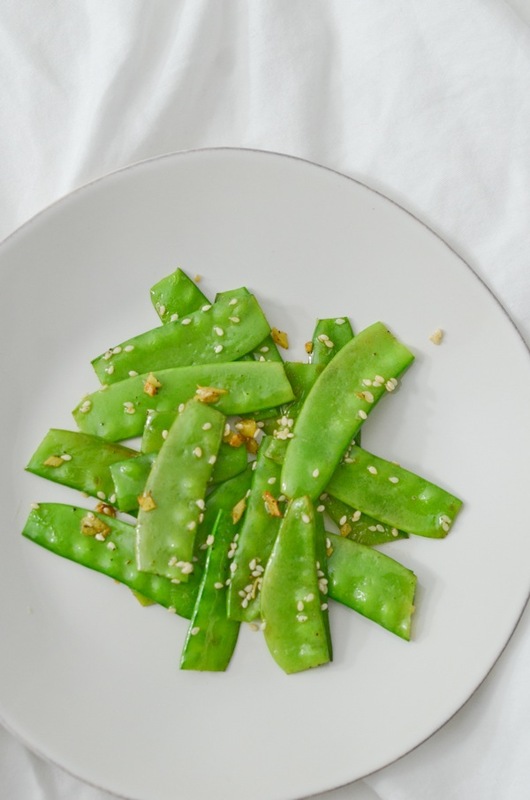 This is such an easy and flavorful way to cook snow peas! 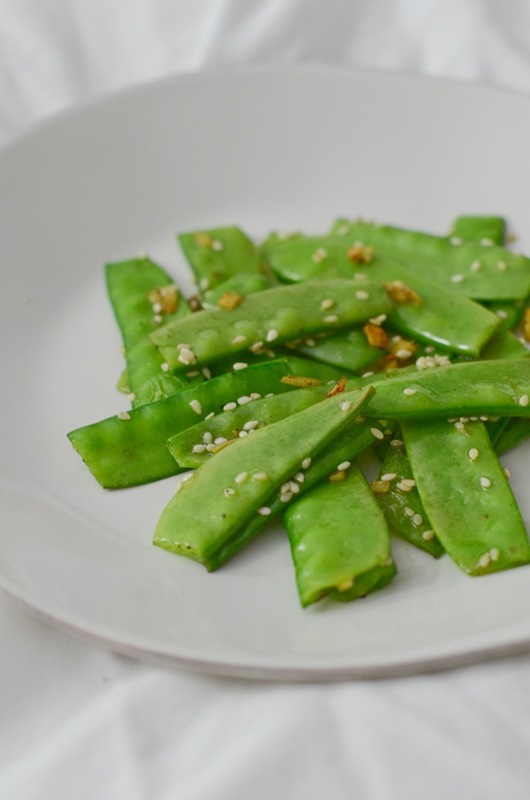 You’ll love the zesty ginger paired with the crisp tender snow peas. Heat olive oil over medium low heat in a sauté pan. When ready, add snow peas and cook, stirring frequently, for 2 minutes. Add ginger, sesame seeds, salt, pepper, and cook, stirring frequently, for 1-2 minutes, until snow peas are to your desired texture. Add sesame oil and stir to evenly distribute. Serve and enjoy! 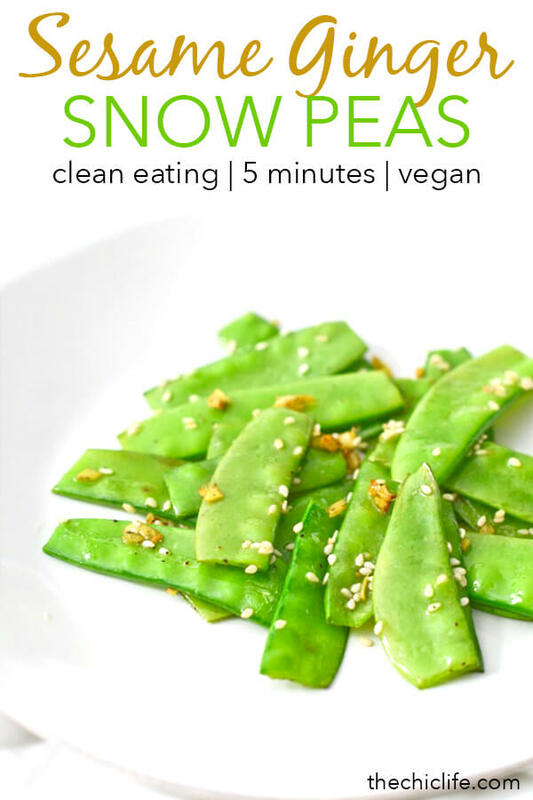 Hope you enjoy this Sesame Ginger Snow Peas Recipe! Thanks for reading!